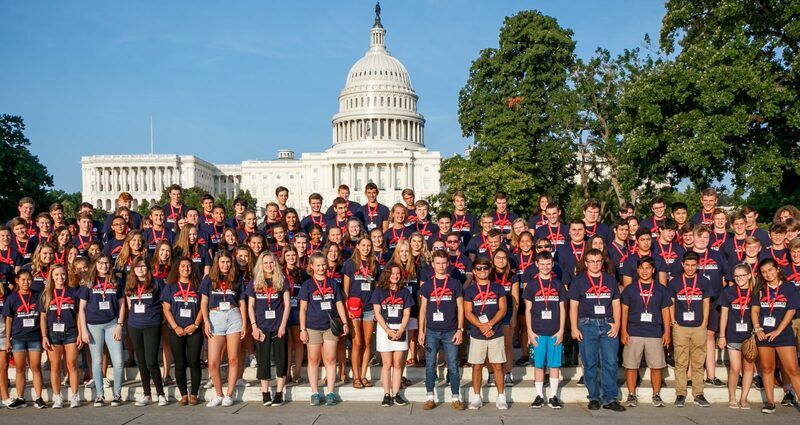 Young America’s Foundation’s Gratia Houghton Rinehart National High School Leadership Conference is an exciting four-day gathering of high school students eager to learn and be inspired by conservative ideas. By attending this crash-course in conservatism, you will get to talk with some of the Conservative Movement’s brightest minds, be inspired by their stories and insights, meet like-minded peers from across the country, receive invaluable resources, and even take a tour of the national monuments dedicated to our nation’s Founding Fathers. Learn from top strategists and leaders in the Conservative Movement about how to champion your principles at your school & beyond! Tuition Fee: The conference fee of $100 includes three nights in the dormitories at the National 4-H Youth Conference Center, conference tuition, materials, and meals from Wednesday dinner through Saturday breakfast. We will not consider your request until we receive this completed essay. Please note that travel assistance is not guaranteed, and is allocated on a case-by-case basis. Incomplete essays will not be considered. Travel assistance essays are due no later than June 11, but are issued first come first served. FAQs: Click here for all the frequently asked questions. Application: Click here to apply.